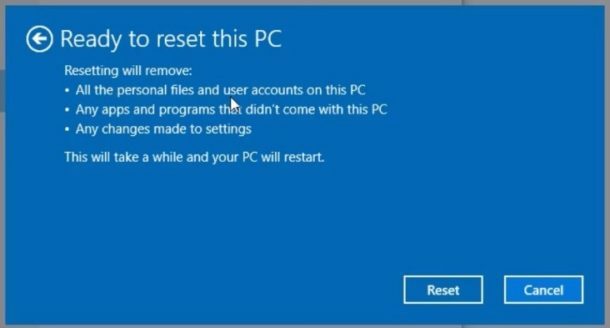 You can reset a Windows 10 computer to factory settings, this both reinstalls Windows and also completely erases and wipes the drive so that no personal data is on the computer at all, no files or anything remain – it’s effectively formatted and Windows 10 is reinstalled fresh. When the computer reboots, no data is on the drive at all, making it like the computer is new again with a clean slate. WARNING: back up your data and personal files before doing this, if you do not back up your stuff or you will lose all data permanently! Do not skip a backup of your personal files before proceeding with the factory reset! This completely erases Windows 10 and all data on the computer, you will lose everything in this process as the PC is formatted and Windows is reinstalled. NOTHING remains on the PC except a fresh factory reset Windows 10 install. Do not do this unless you want to completely wipe the PC. 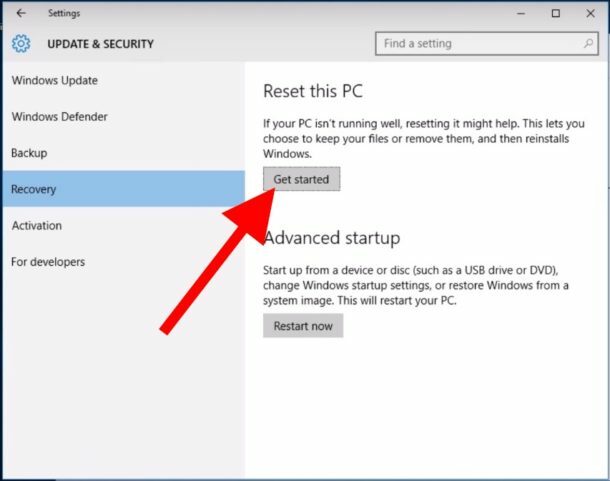 The Windows PC will reboot and the reset process will take place through the system restore function. Because the option above chose ‘Remove everything’ then Windows 10 will completely erase and format the PC and all personal data will be formatted and removed from the computer, nothing will be left and it will be as if the PC was new. This is a very helpful troubleshooting technique that is available for Windows PC computers, just remember to back up your data and personal things before doing this! This is also a great choice if you want to transfer ownership of a PC or are selling a computer, because you likely don’t want to give someone else your data and personal stuff. 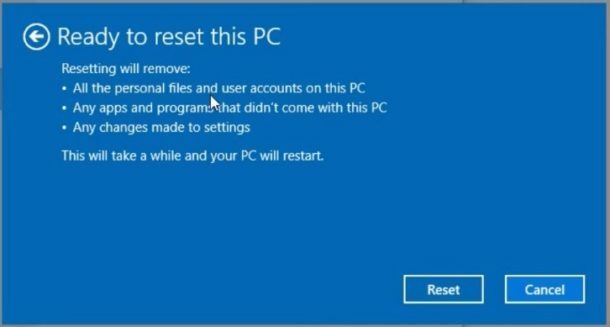 There are many reasons to factory reset Windows 10, just remember that by doing so all data on the computer is gone permanently and only Windows 10 will reinstall and remain. 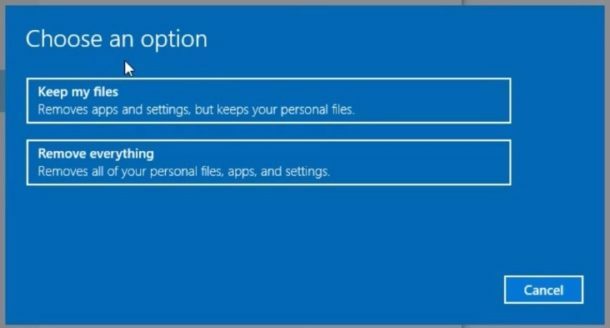 Remember, you can also choose the Keep My Files option which simply reinstalls Windows 10 on the PC but preserves users files, whereas the approach outlined above will remove all data in the process.